We are committed to providing quality healthcare for women in Detroit. Supportive, non-judgmental and caring place with a staff that will make you feel like you have a friend or family member with you. Summit Women’s Center became a leader in women’s healthcare in 1973. It was one of the first clinics in the state of Michigan to offer low-cost abortions. Summit meets the high standards of care that is required in order to acquire CLIA Certification and National Abortion Federation certification. Summit remains committed to assisting women in making choices about their health and future. The Ob/Gyn physicians, counselors, nurses, lab technicians and medical assistants are non-judgmental, supportive and respect the privacy of each patient. All medical services are provided by the highly respected doctors and caring professional staff of Summit of Detroit, P.C. 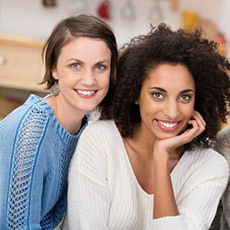 Summit Women’s Center of Detroit, Inc., an experienced medical management company, provides administrative services at the clinic and can assist patients with payment options. MIHP (Maternal Infant Health Program) — A registered nurse and social worker can help give your baby the very best start in life.